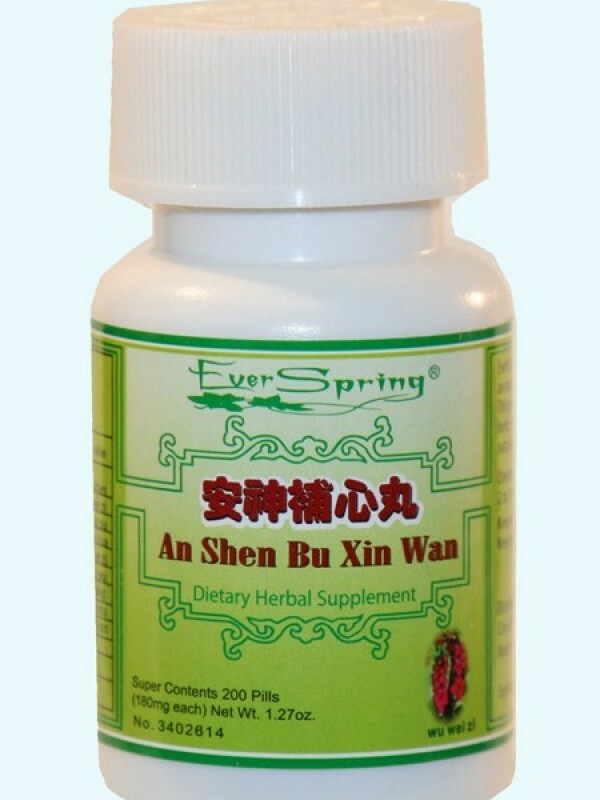 An Shen Bu Shen Wan helps to calm the nerves, regain normal heart beat by balancing various functions, helps to produce blood and regain vitality. An Shen Bu Shen Wan – 200 ct. Product Code: An Shen Bu Shen Wan - 200 ct. This Traditional Chinese formula is to calm the nerves and regain normal heart beats by adjusting to reach balance of various functions, regaining vitality and helping produce blood. The herbal formula is mainly used for palpitation, insomnia, dizziness and tinnitus. This product is not intended to diagnose, treat, cure or prevent any disease.